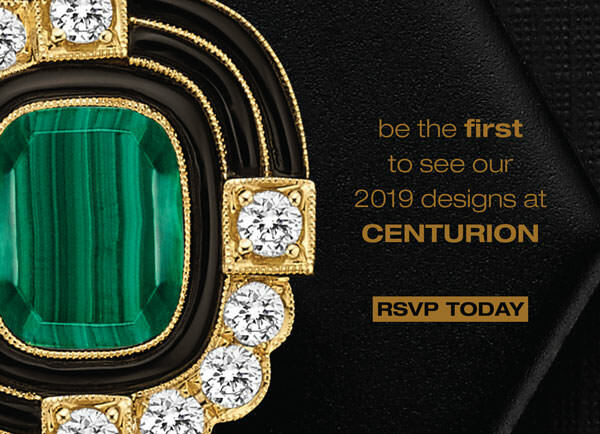 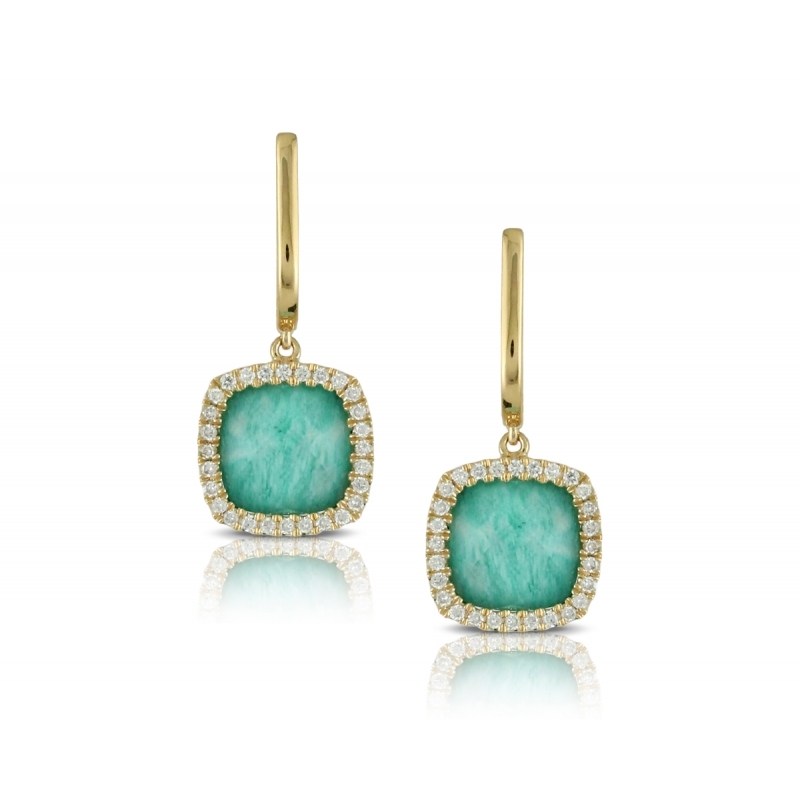 Inspired by the lush jungle region of the Amazon River basin. 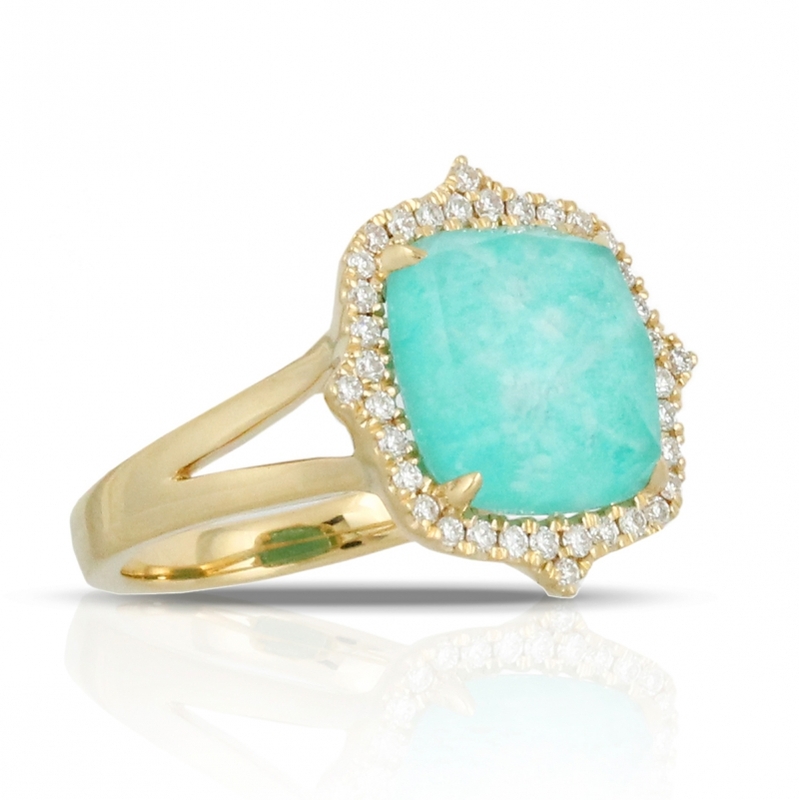 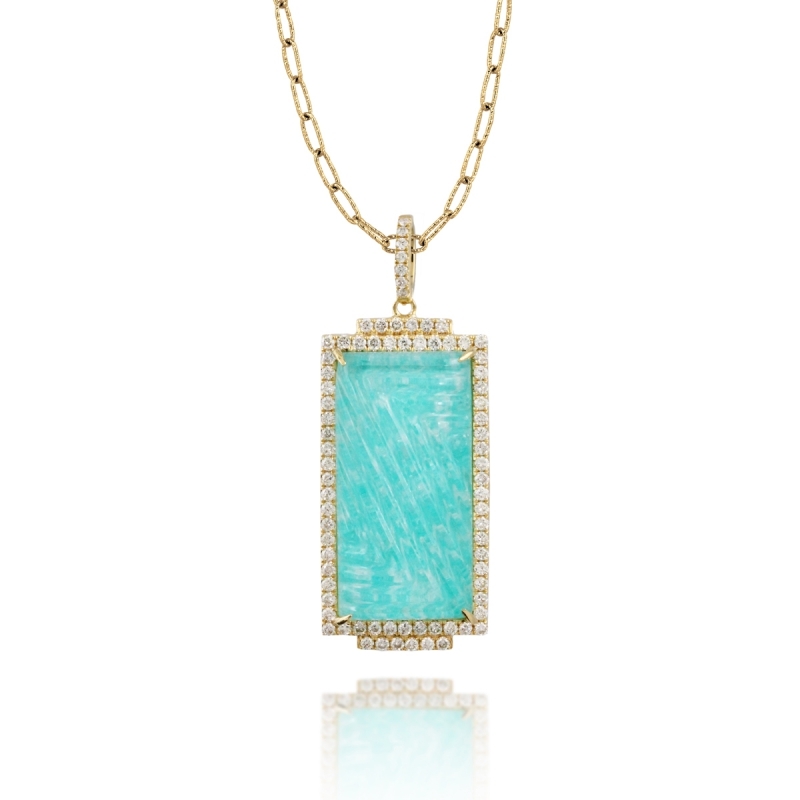 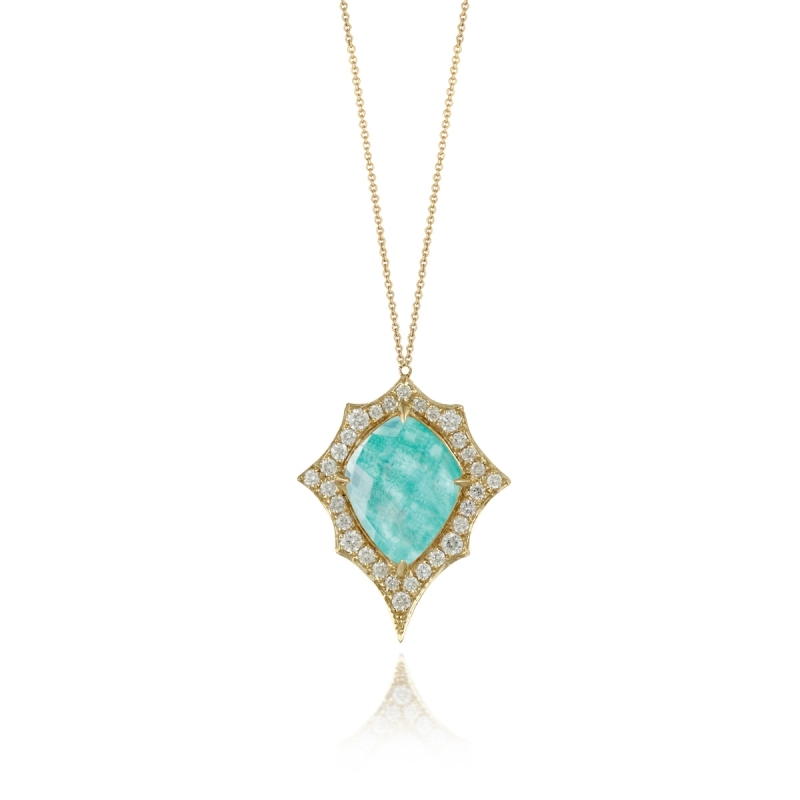 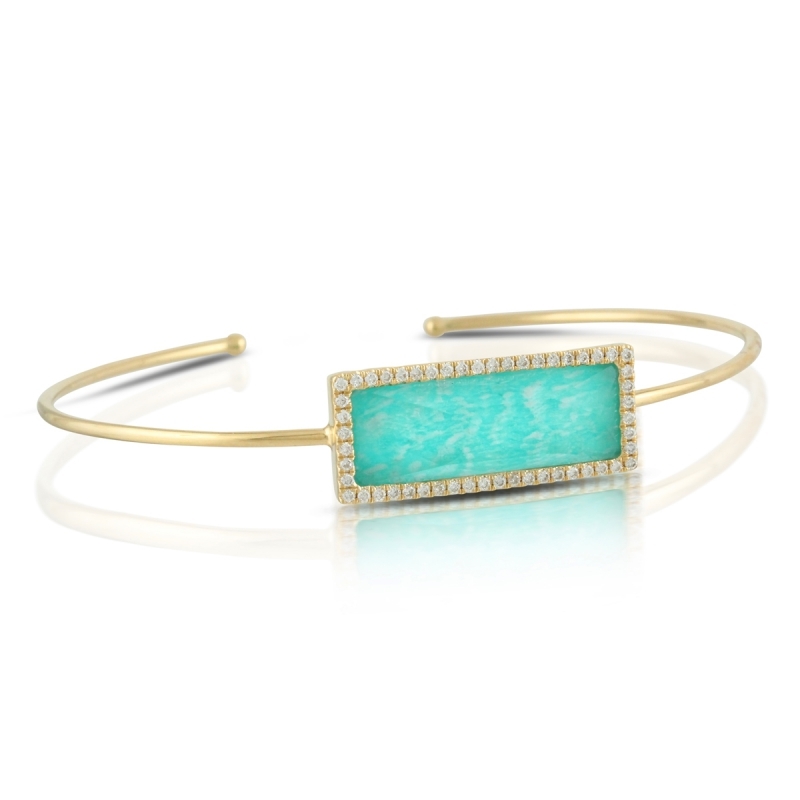 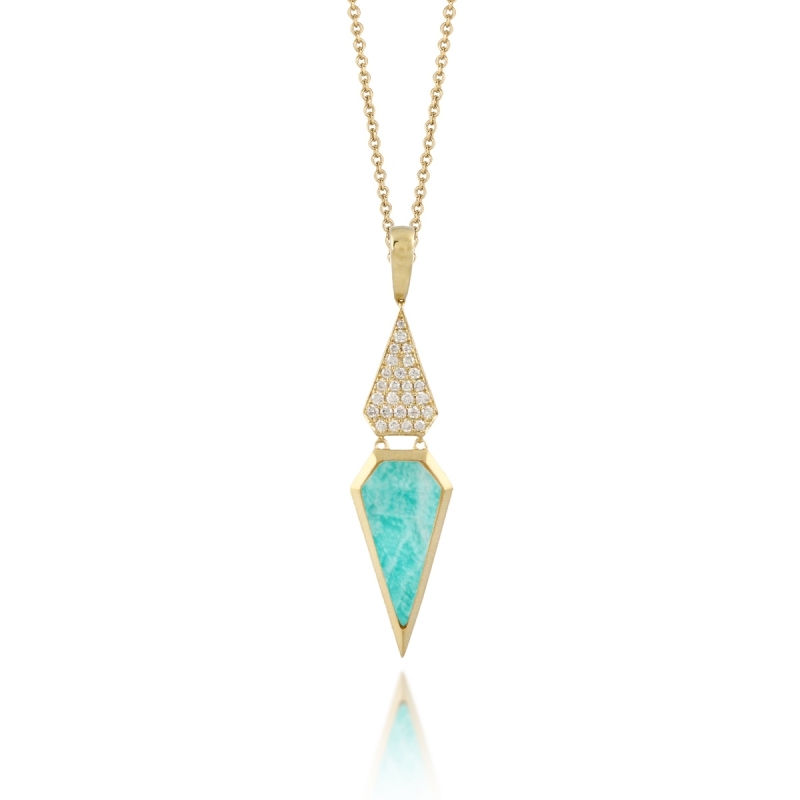 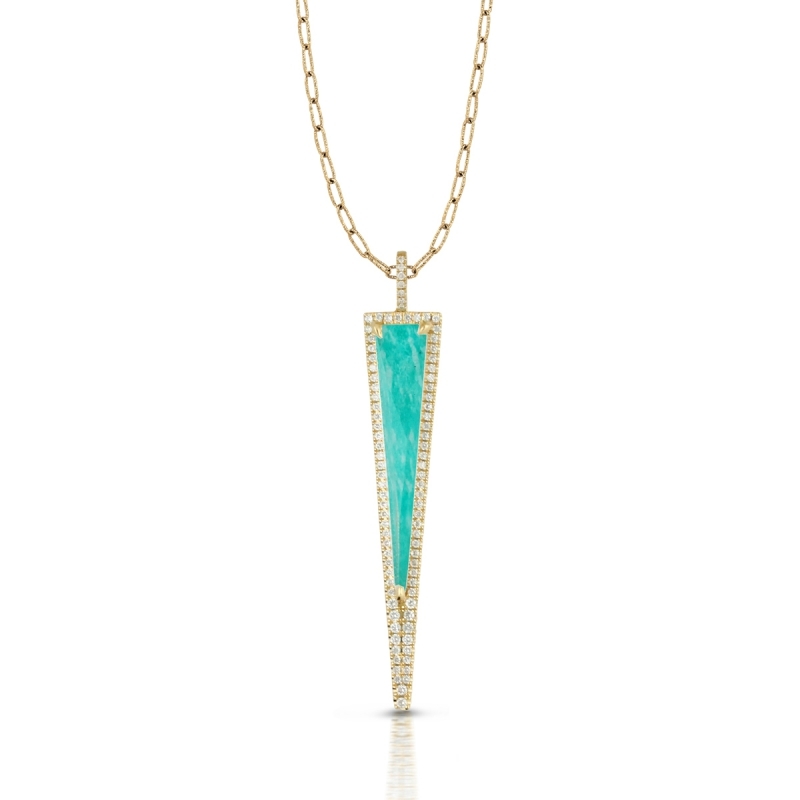 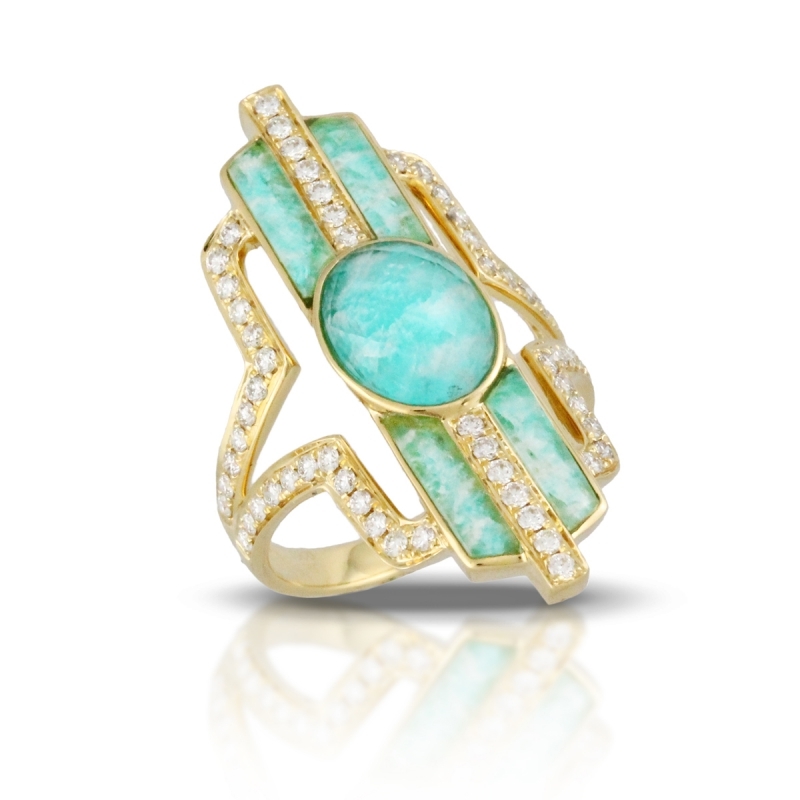 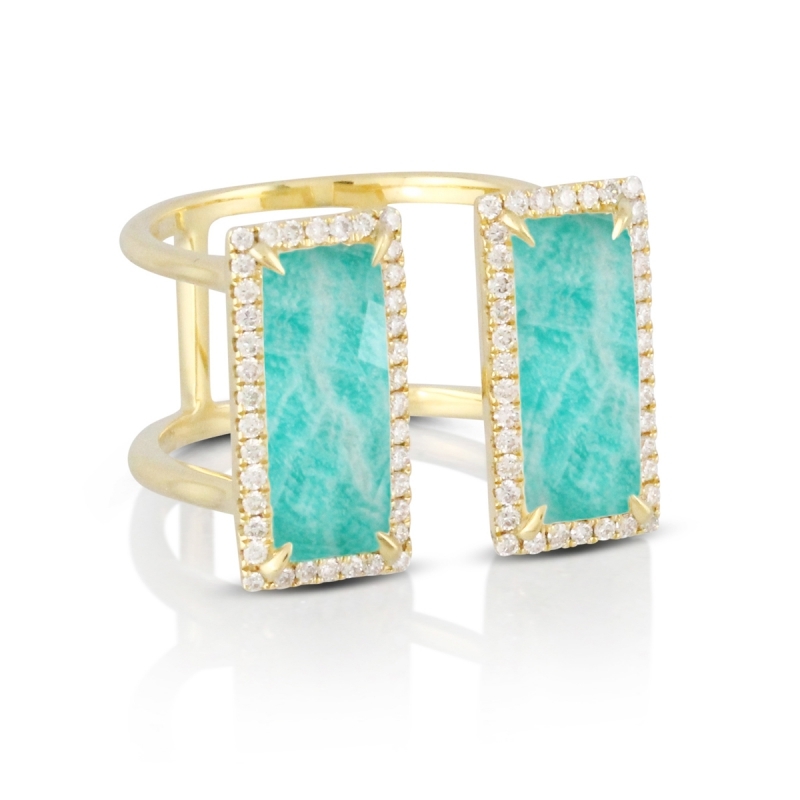 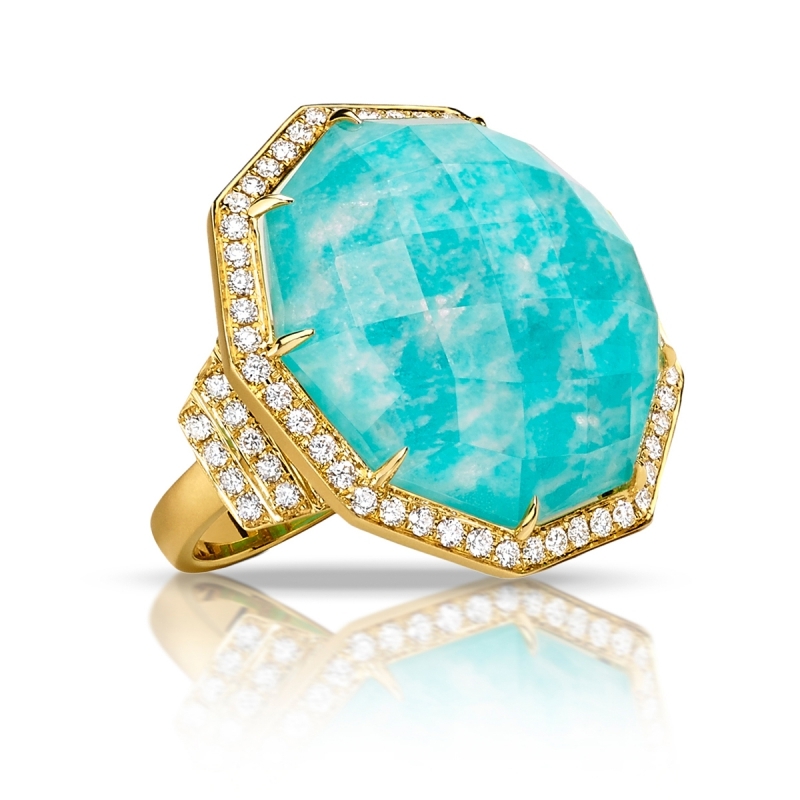 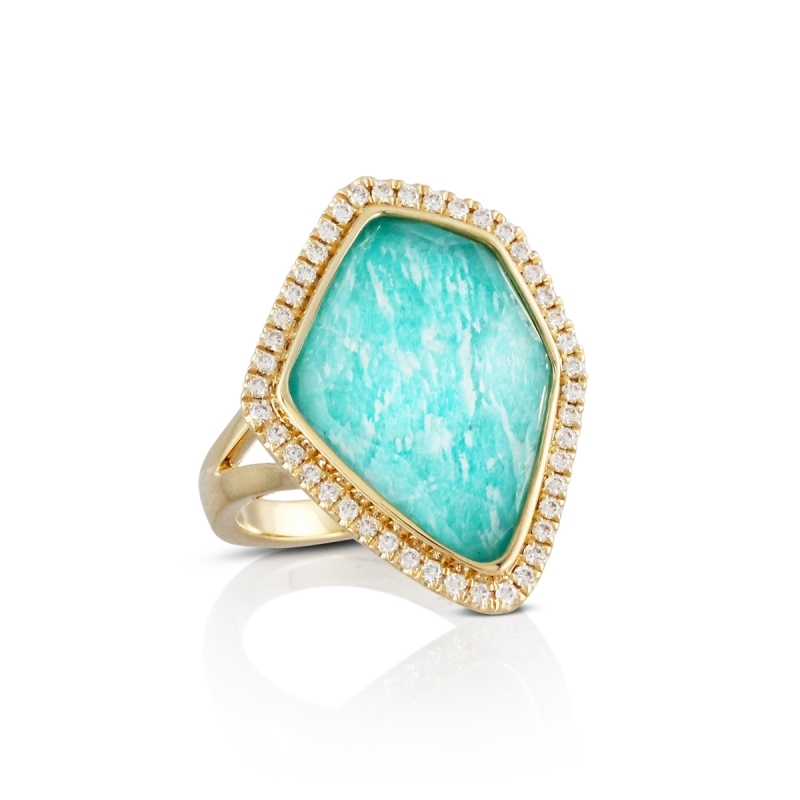 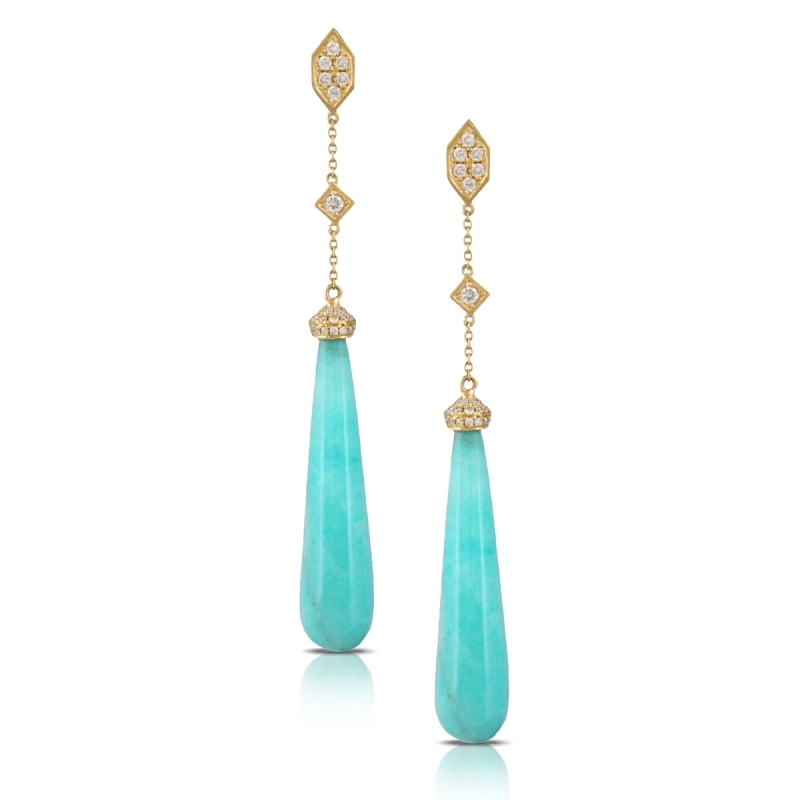 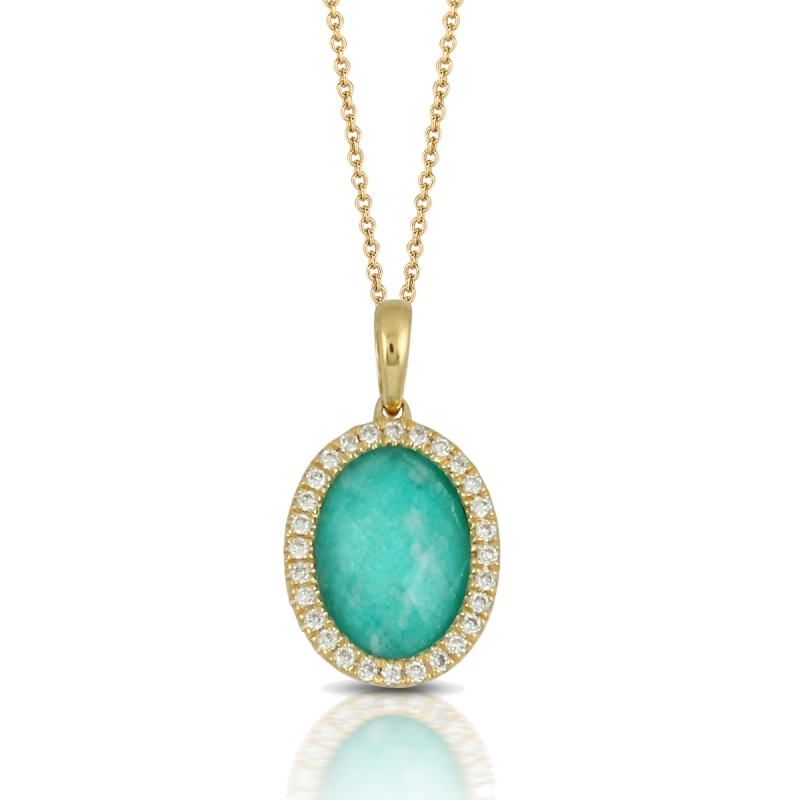 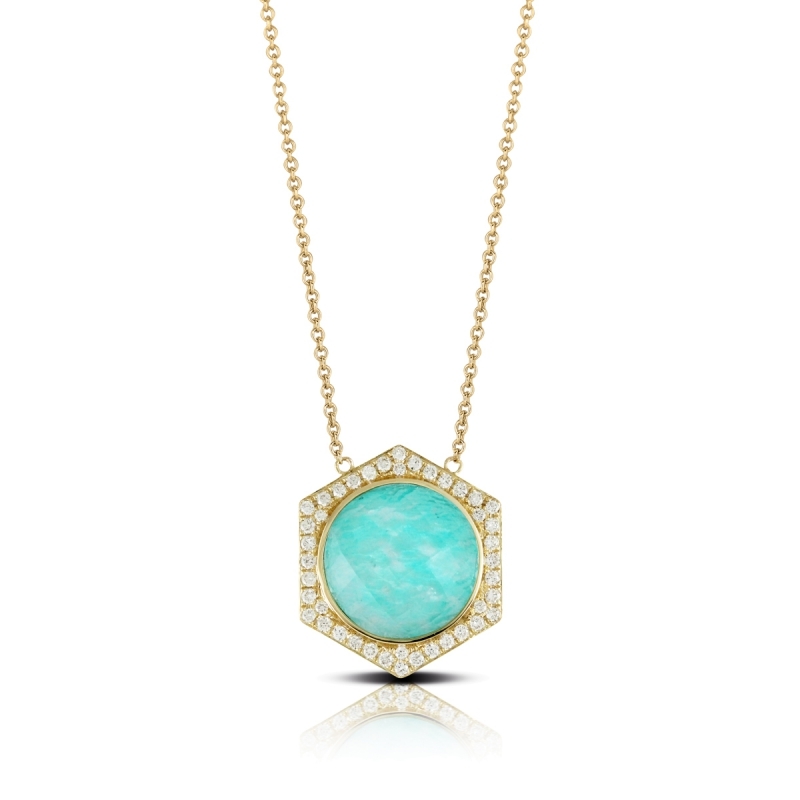 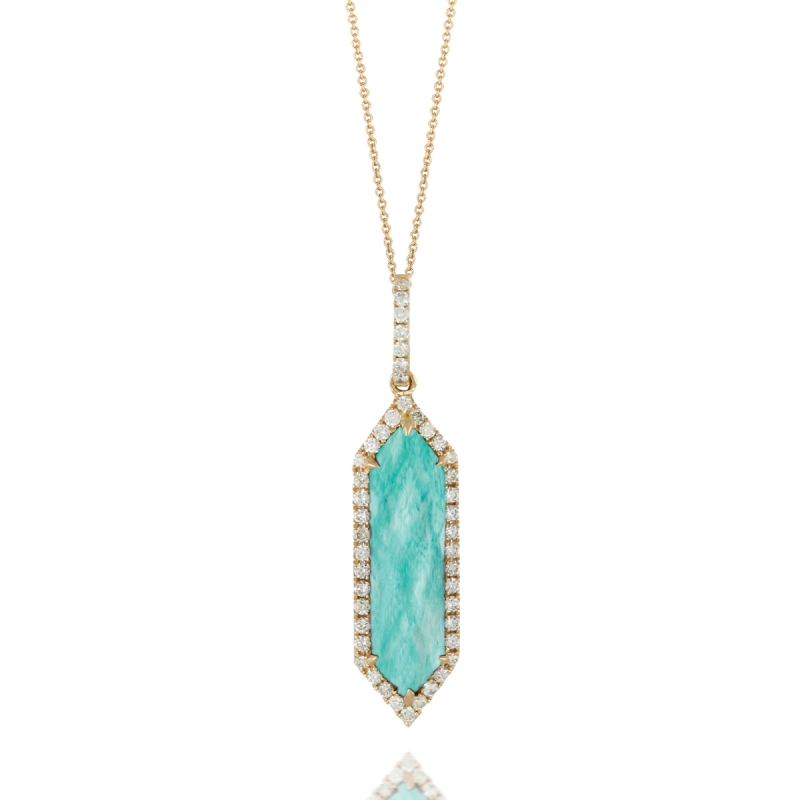 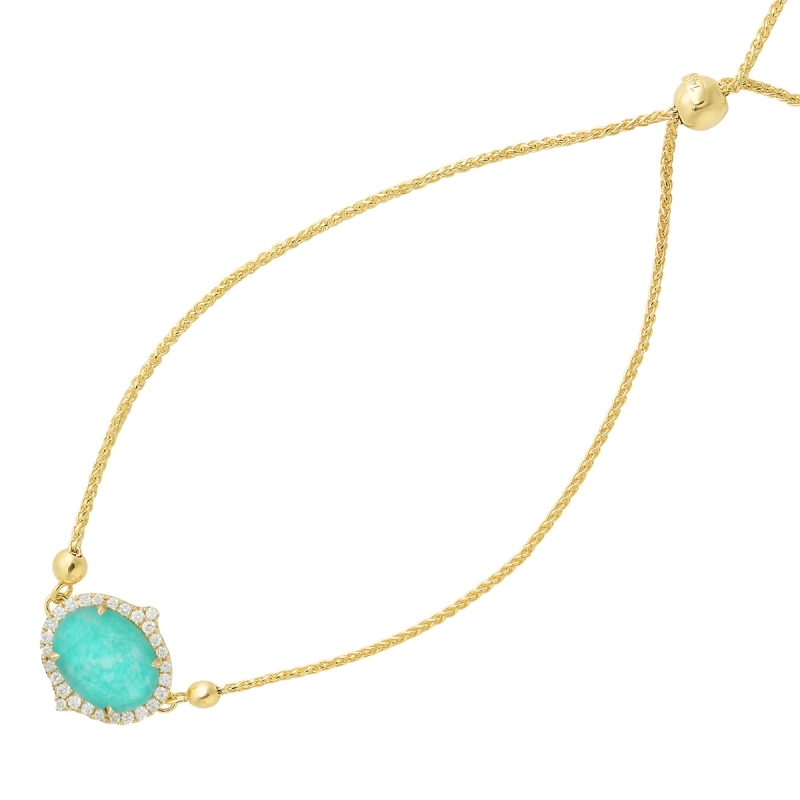 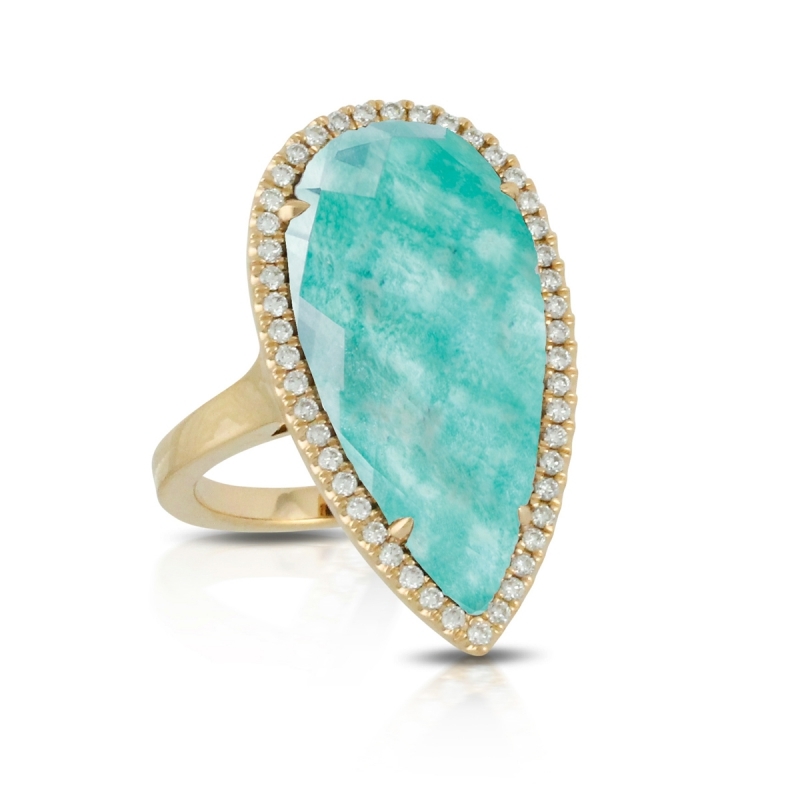 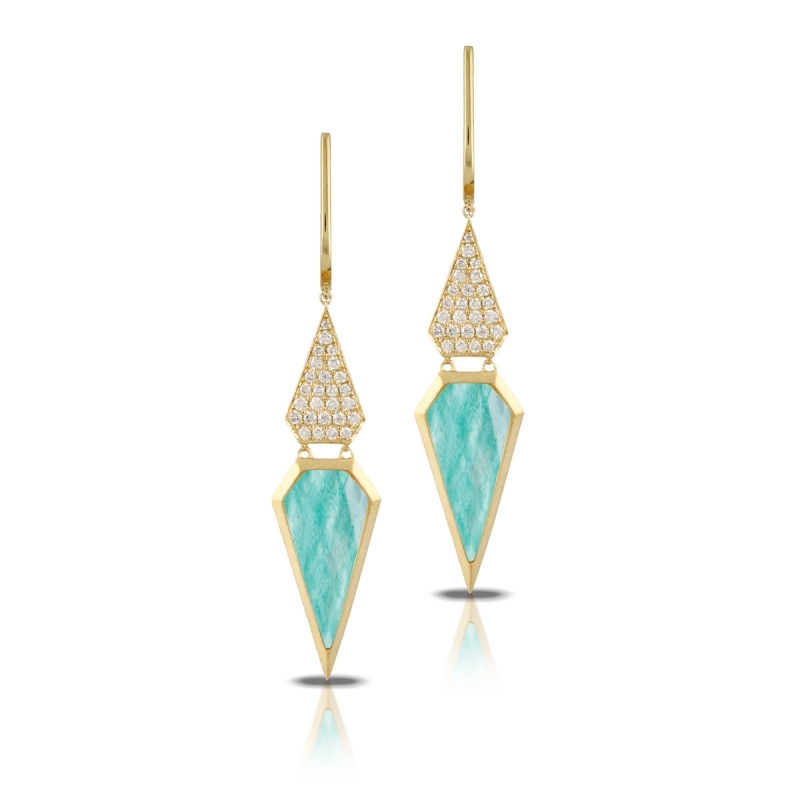 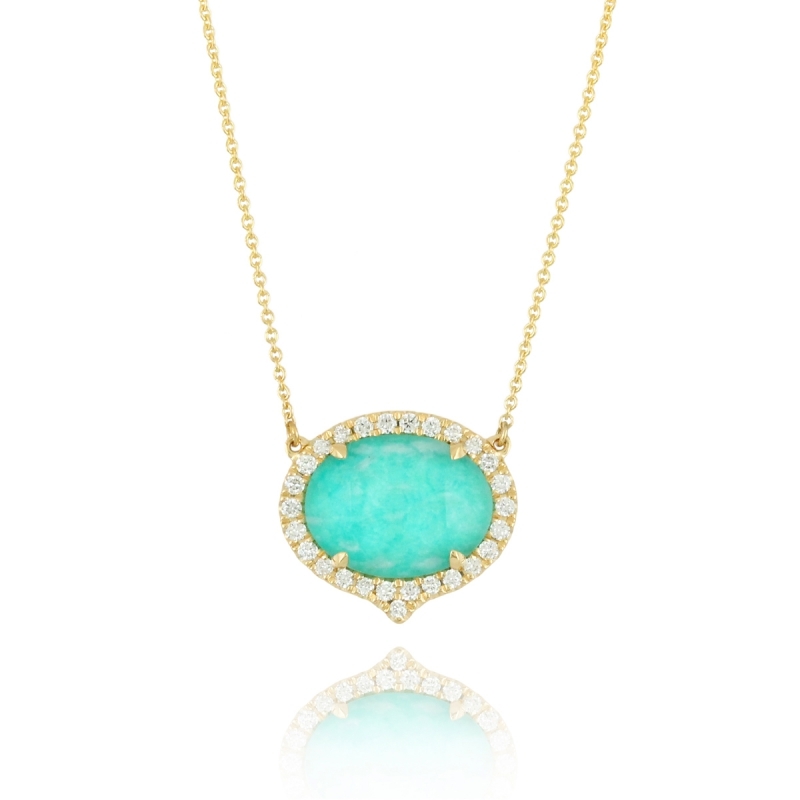 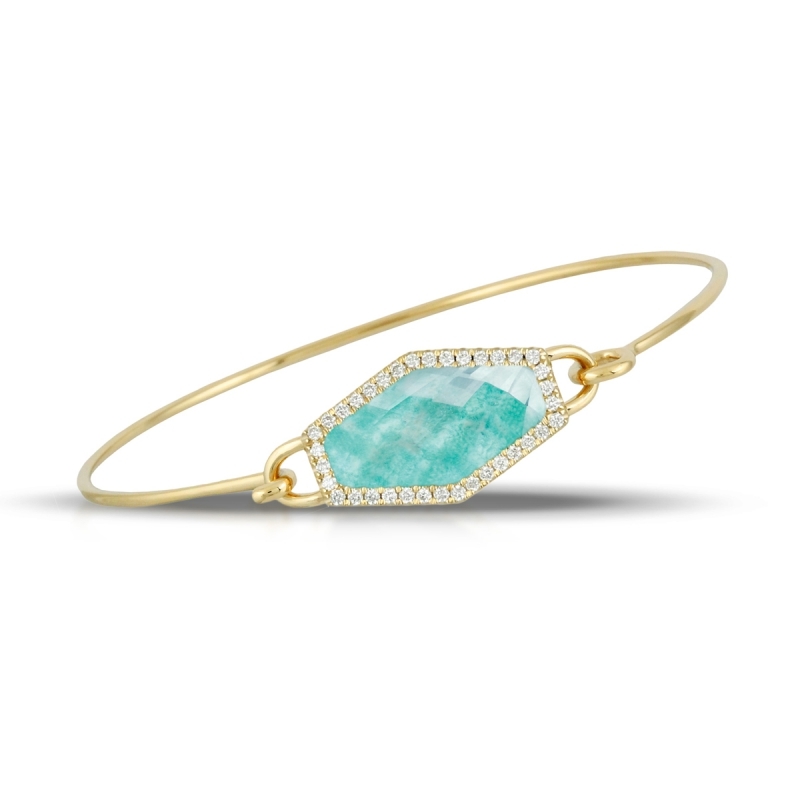 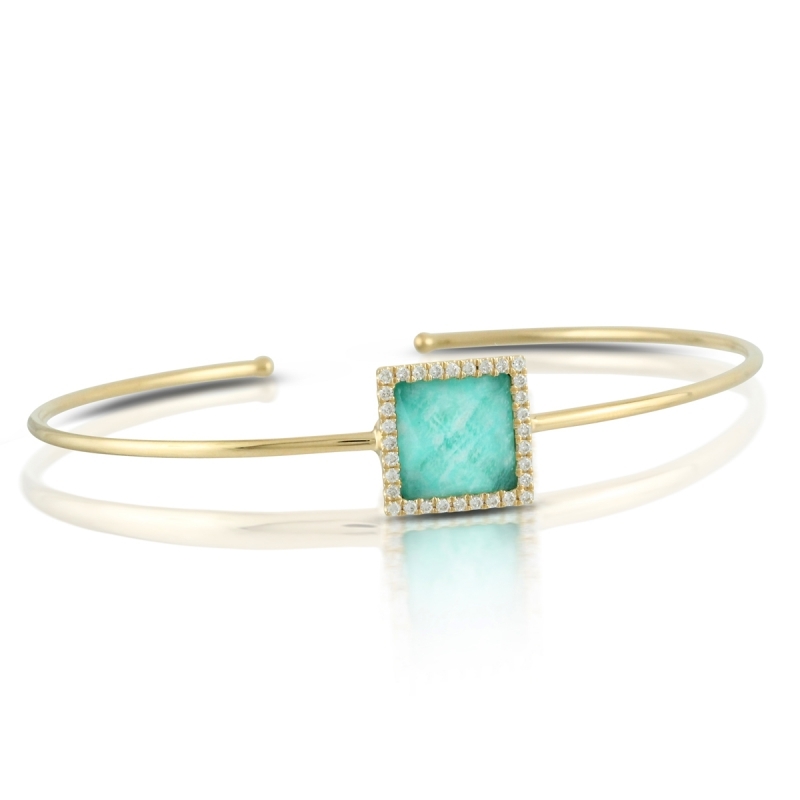 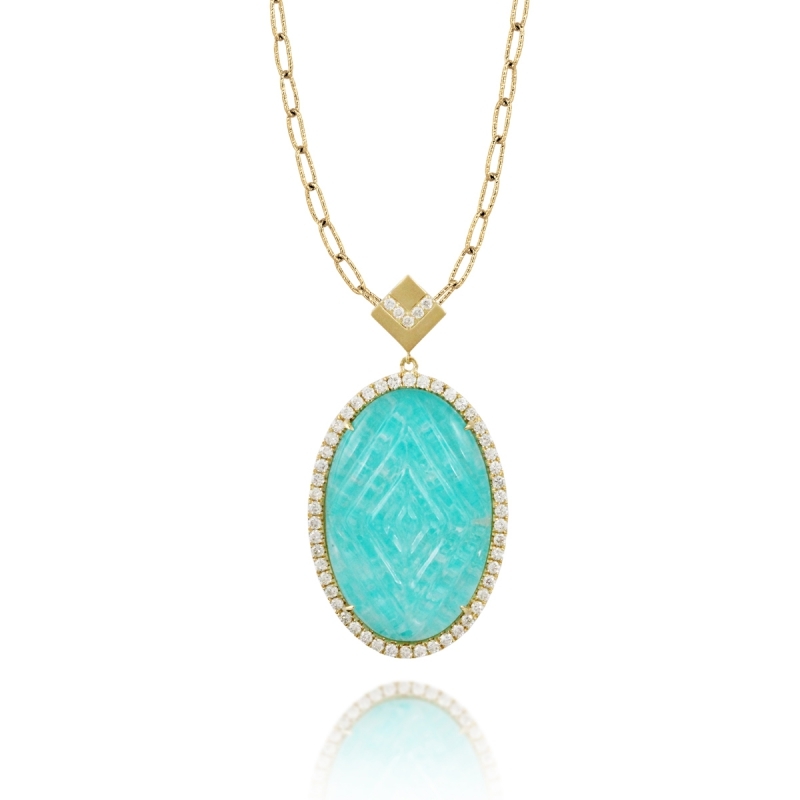 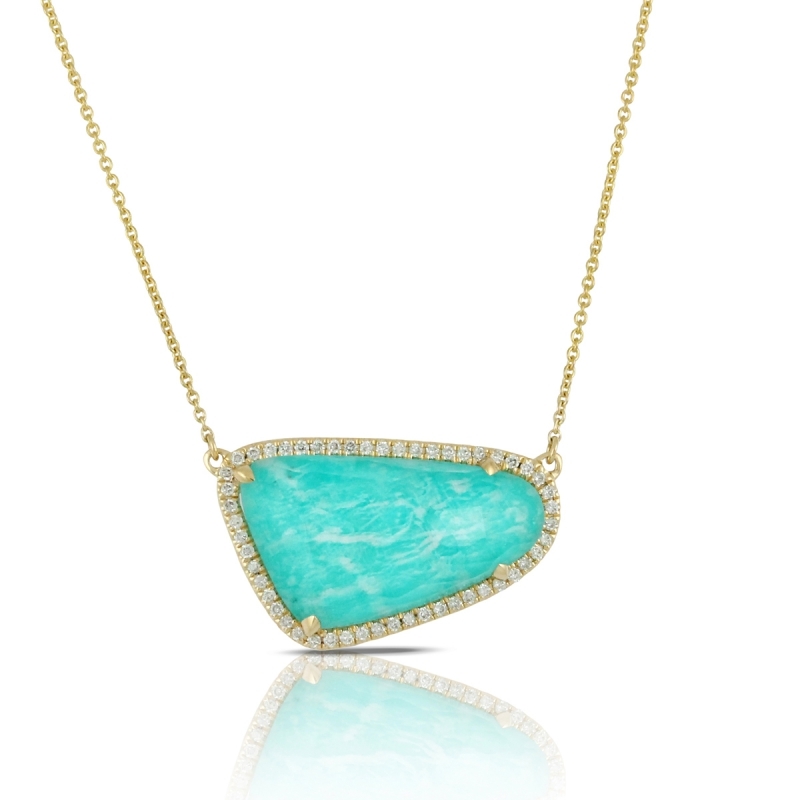 Clear quartz is layered over amazonite, a stone believed to soothe the spirit and calm the soul. 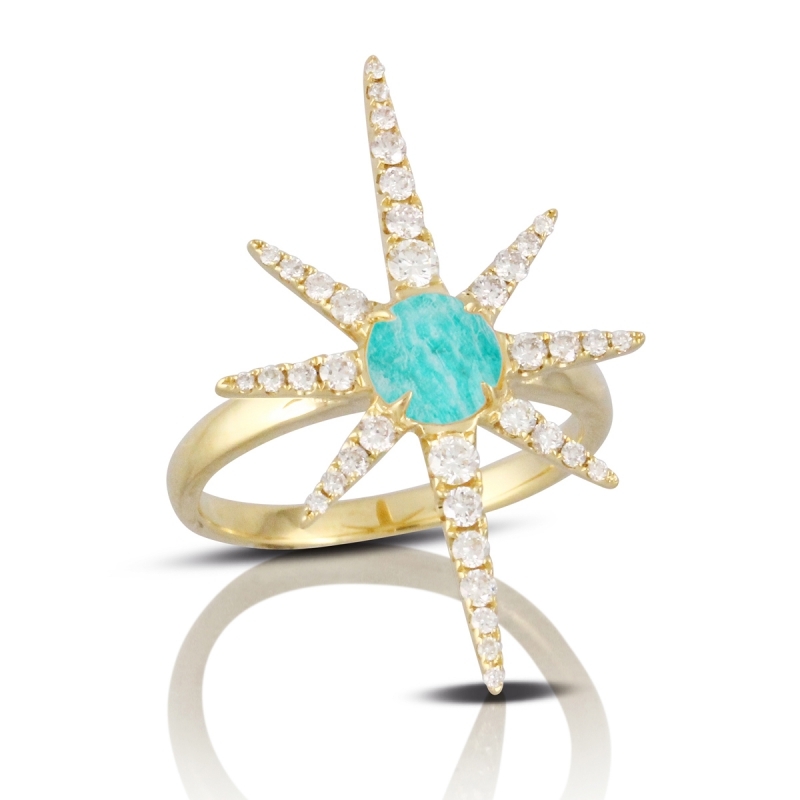 Set in 18K yellow gold with sparkling white diamonds.